ISBN 978 1 4456 3809 6 (print) Also available as an ebook. For several hundred years the hospitals of London have played a major role in the development of modern medicine. However, during the twentieth century many closed, and their intriguing histories were mostly neglected. Since 2007, Veronika and Fred Chambers have documented all the hospitals that were operational in London into the twentieth century, a task not previously undertaken. Their list so far stands at over 1,000 institutions. This book, necessarily selective, draws on their project, and uses contemporary pictures of the hospital sites to accompany the text. There are some fascinating aerial views showing elegant designs such as that of the main building at Harefield Hospital, which is crossbow-shaped. Further, evocative black-and-white historic images come from the collection of Rob Higgins, a doctor born and trained in East London, now a Professor at the University of Warwick. The work is illustrated by over 100 photographs of London hospitals. Chapter 1 goes on to outline the diverse range of charitable Voluntary Hospitals (1700-1948) and how they were funded. By the end of the nineteenth century, finances were precarious. One of the philanthropists who donated was Siegfried Rudolf Zunz, who provided substantial funds for wards named after his wife, Annie (p.9). The Annie Zunz Ward at the West London Hospital, Hammersmith Road is shown on the front cover. Then, State provision through Workhouse Infirmaries (Poor Law Hospitals) (1834-1930), Military Hospitals (1865-1977), The Metropolitan Asylums Board (1867-1930), and the Emergency Medical Service (EMS) during the Second World War are described. Most of London’s hospitals joined the NHS at its introduction in July 1948, and Chapter 2 gives a brief account of the early years of the NHS, and subsequent reforms. Those Voluntary Hospitals in central London became teaching hospitals and centres of scientific research, which are dealt with in Chapters 3 and 4. Today, they are some of the city’s most iconic institutions. One is Guy’s Hospital in Southwark. The entry on p.29 states that the Hospital, opened in 1726, was founded by Sir Thomas Guy. Guy, a stubborn but very generous commoner, was in fact never knighted, and FHHS members may recall that his hospital was always known as “Mr Guy’s Hospital” in the eighteenth century! The book’s backbone comprises the authors’ alphabetical, pictorial tour of London’s hospitals by Metropolitan Regions: North-West, North-East, South-East and South-West. Some are large and internationally renowned; others local GP-led, cottage hospitals. As medical treatments, especially vaccination programmes improved; the incidence of epidemics of infectious disease reduced. As a consequence, many Isolation Hospitals and TB Sanatoria closed. Services were centralised in large, new District General Hospitals, or older ones converted. More recently, with budgets becoming ever more stringent, care was concentrated increasingly on larger hospitals. Many small hospitals – considered redundant – were closed, despite vociferous protests from local residents. This remains, of course, a topical issue in Fulham & Hammersmith. The Authors deftly describe the current uses of former hospital buildings. For example, at the site of the Elizabeth Garrett Anderson Hospital (for women) the Grade I listed Queen-Anne-style building is restored as a Gallery, and the demolished buildings now contain the HQ of Unison, the Health Service workers’ union (p.41). There is today a gated residential estate – another Bishop’s Park – where the East Finchley Neurorehabilitation Unit once was (p.63). Sadly, several sites of hospitals rendered obsolete and demolished, remain vacant awaiting development (see e.g. p.84). Chapter 9 documents the huge mental asylums built in the late nineteenth century, including the so-called ‘Epsom Cluster’. New psychotropic drugs, introduced in the 1960s, and changing social attitudes, enabled patients to be treated ‘in the community’. Also, general hospitals – starting with St Olave’s, Rotherhithe (p.100) – began to open their doors to psychiatric patients from the late 1960s. These factors slowly emptied the vast asylums, rendering them redundant. Many were sold for redevelopment. I am sorry that the Authors did not refer to the earlier, regular boarding-out of lunatics in private dwelling-houses. 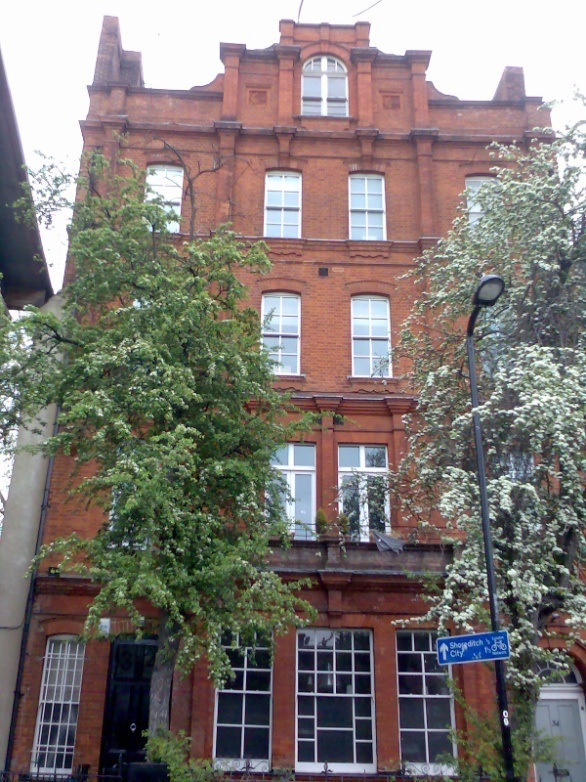 There was another ‘cluster’ of these madhouses at Hoxton: the largest and most important being Hoxton House (Miles’s), near Shoreditch Church. Once licensed, and from 1791 at the latest, contracts were made by the Admiralty for the confinement of insane officers and seamen of the Royal Navy at Hoxton House. Though the Admiralty contract ended in 1814, the asylum did not close until 1911. The only remains are beside Hackney Community College, where a part of the red-brick house of the asylum was incorporated into the school that replaced it in 1921. 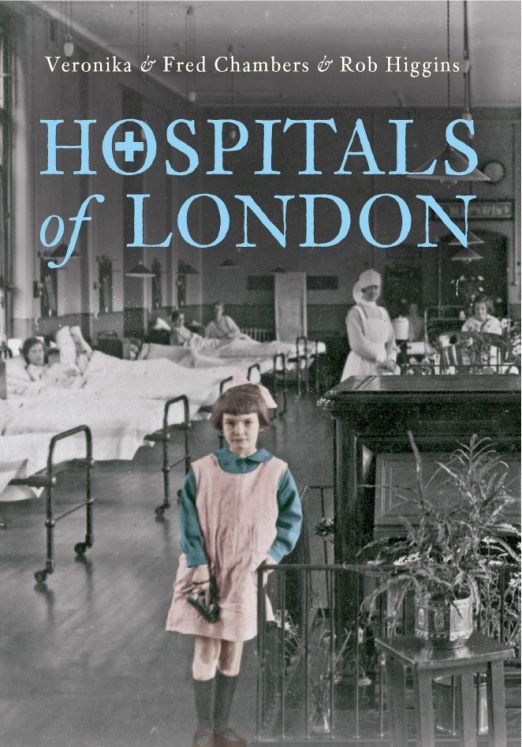 I enjoyed this short, well cross-referenced book; learnt much, and recommend it to the general reader interested in the history of London’s hospitals.